We love the Makers Market as much as you do, so it's here to stay through Summer and Autumn 2019! 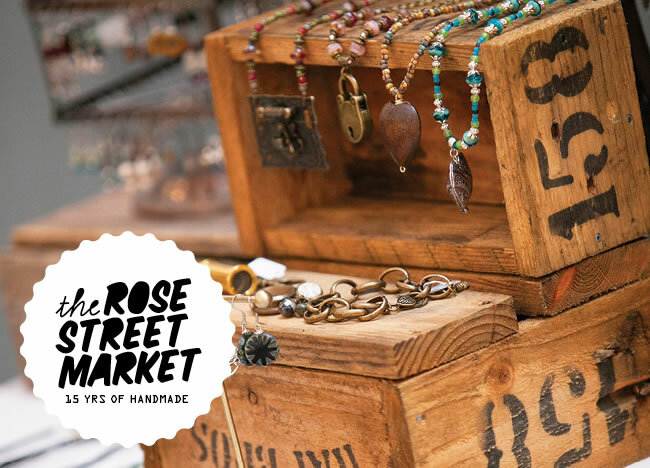 And our partners The Rose Street Market will bring you a fresh new line-up of stalls every Sunday, and they will continue to bring back some of our favourites too! Each Sunday, enjoy creative and colourful market stalls showcasing a variety of art, craft, jewellery, homewares, gifts and artisanal produce. Learn new skills at our free daily workshops and take in heaps of entertainment for everyone to enjoy. The market is totally under cover, so rain, hail or shine the market will be on! NOTE: The Market will not run on Sunday 6 January 2019.